If the Sognefjord is the King of the Fjords, then the Hardangerfjord is the Queen. At 179 kilometers (111 miles) long, it’s Norway’s second-longest fjord and is easily accessible from Bergen and other places along the southwest coast. The main fjord carves inland from the Atlantic Ocean about 80 km (50 mi) south of Bergen before splitting into smaller branches, the longest of which is the narrow Sørfjorden, which stretches 38 km (24 mi) along the eastern side of the Folgefonna peninsula. Much of the southern portion of the peninsula is protected as Folgefonna National Park, which boasts Norway’s third-largest glacier. In the village of Utne, at the northern tip of the peninsula, the small but charming Hardanger Folk Museum contains Norway’s largest collection of Hardanger fiddles, a type of violin unique to the area, as well as displays of regional folk costumes and traditional embroidery. Roughly 15 km (9 mi) beyond the village of Odda at the southern end of Sørfjorden is the Låtefossen waterfall, a thundering double cascade that flows out of Lotevatnet lake and tumbles 165 meters (541 feet), directly alongside Highway 13. To the east of the Hardangerfjord is the vast Hardangervidda plateau, a national park and a paradise for wilderness hikers. At Eidfjord, where the plateau meets the fjord, you’ll find the Hardangervidda Nature Centre, with three floors of interactive multimedia exhibits about the wildlife, geology, botany, climate, and human history of northern Europe’s highest mountain plateau. Norled operates fjord cruises daily from May through September; cruises begin at the quay in Norheimsund and run to Eidfjord, where you can either sign up for an optional sightseeing excursion to the Hardangervidda Nature Center and the dramatic Vøringfossen waterfall, or explore on your own for three hours before the return cruise back to Norheimsund. Tour tickets including round-trip bus transfers between Bergen and Norheimsund are also available. 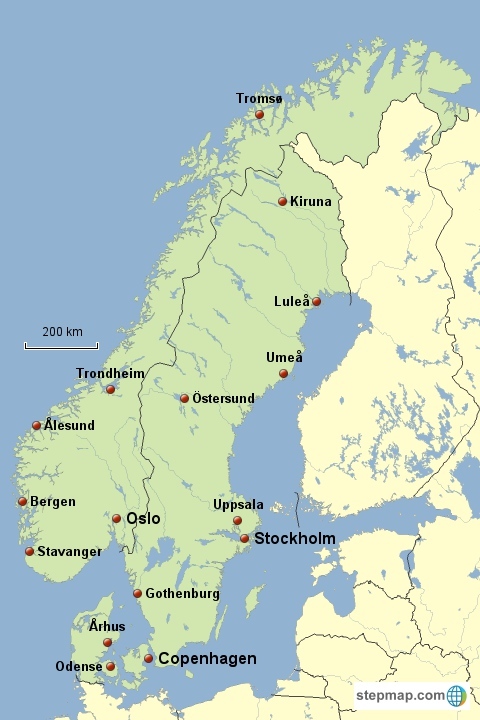 Norled also operates expressboat service and various car ferry routes in the region. 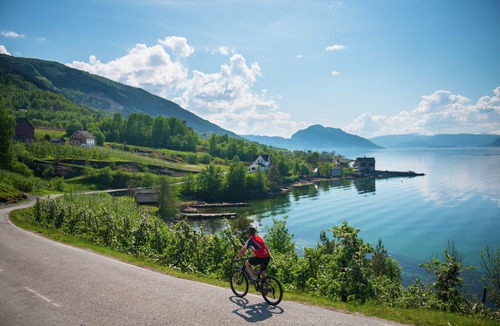 Driving the picturesque roads around the Hardangerfjord is a great way to see more of the region and enjoy the endless gorgeous views, but if you’re not afraid of some hills, a delightful option for more leisurely exploration is to travel by bicycle. Day trips including rental bikes and public transportation are available through Norled, starting in either Norheimsund or Bergen. Sykkel i Hardanger offers bike rentals (including e-bikes) as well as excursion packages from one to three days. Longer self-guided tours are available from various operators. 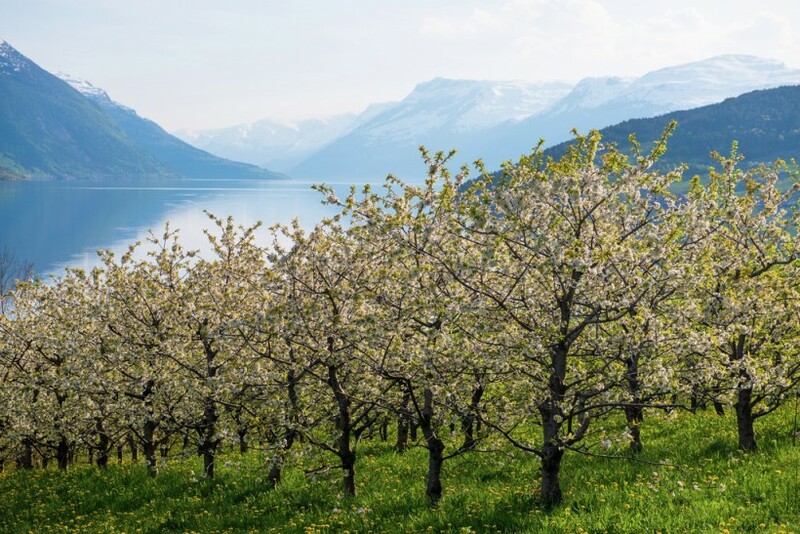 Countless farms and orchards line the steep slopes throughout the Hardanger region, and the flowering of fruit trees in May and June makes late spring a glorious time to visit. Later in the summer, you can buy fresh fruit and berries at roadside farmstands throughout the region– just take what you want and leave money in the box provided. 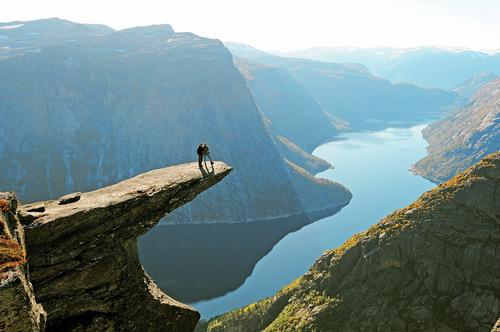 Perhaps the most famous attraction in the Hardanger region is Trolltunga (the Troll’s Tongue), a flat cliff that extends out into space overlooking the lake Ringedalsvatnet east of Tyssedal; getting there involves a 10- to 12-hour round-trip hike from the trailhead in the village of Skjeggedal. 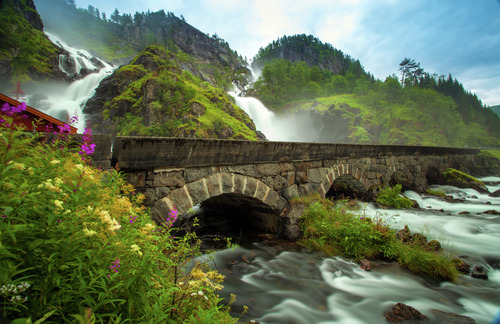 The Hardangerfjord region also offers countless other hiking opportunities of varying degrees of difficulty. 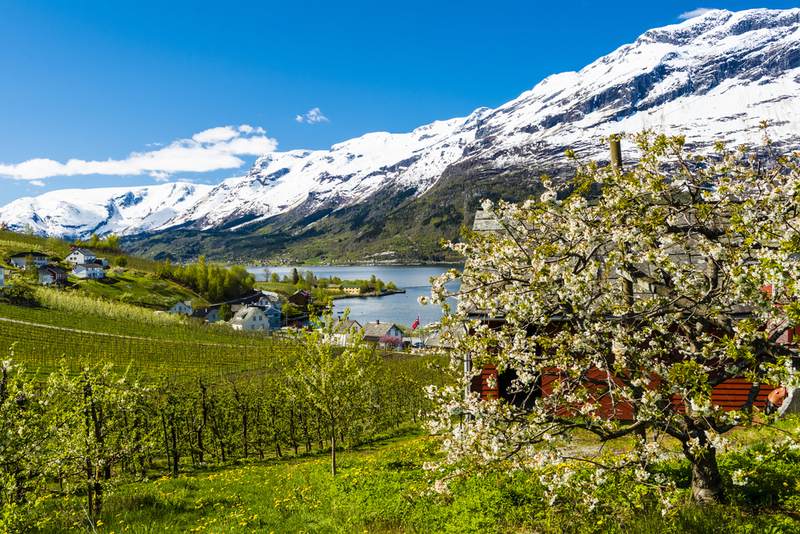 Accommodation options in Hardanger include hotels, guesthouses and B&Bs, cabins, and campgrounds. At the northern end of Hardangerfjord, Utne Hotel is one of Norway’s oldest hotels in continuous operation, having opened its doors to guests in 1722. Wow, Hardangerfjord is such a wonderful place. Such a lovely place! How to reach the place?